At the dive centre, they hang on long racks, ready to be rented. The jacket style BCD comes in four sizes; small, medium, large and extra large. These four sizes supposedly fit all divers. Almost every diver have used a jacket style BCD. The first time is usually during the SCUBA beginners course, be it PADI Open Water Diver, SSI Open Water Diver, NAUI Scuba Diver, CMAS Diver level 1 or any other similar training. 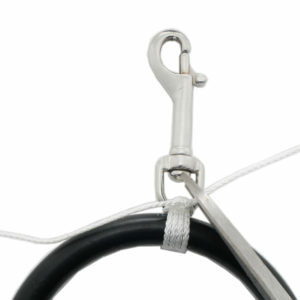 The purpose of the BCD, the buoyancy compensation device, is to make the diver neutrally buoyant. Depending on body constitution, some people naturally float, others sink. When fully geared up, with an exposure suit, tank, fins, regulators and other equipment, most divers need some extra weight to stay neutral when the tank is nearly empty. The usual solution is a belt with lead weights, worn around the waist. The extra weight that is needed for neutral buoyancy at the end of the dive likely makes the diver too heavy at the start of the dive, when the the tank is full. This is why the BCD is needed. It offsets the change in buoyancy. Thanks to the cummerbund and the adjustable shoulder straps, the staff or instructor can fit a BCD to a student in a few seconds. Just eyeball the rough size, put the BCD on, like a vest, tighten the cummerbund and pull the shoulder straps tight. Done. Off you go! This is great for the dive centre staff. But maybe not so great for the diver looking to buy his or her own gear. Now it is not about it being usable by all divers. It is about finding something with the perfect fit for one diver. The diver is probably not exactly a size small, medium, large or extra large. Instead likely somewhere in between the four sizes. Maybe even smaller than the smallest or larger than the largest. 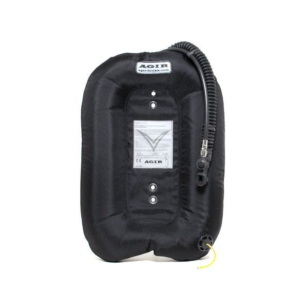 When buying a BCD for personal use it is more important with perfect fit than quick adjustment. It will only be used by one diver. With the BCD at home there is plenty of time to fine tune and adjust until the fit is perfect. Also, it is better if it stays the same over time, instead of constantly having to be readjusted. What about performance? While diving, trim and streamlining are two very important factors. Being streamlined and in trim saves a lot of effort. Reducing effort reduces gas consumption. Reduced gas consumption gives longer dives. Reducing effort also increases comfort. 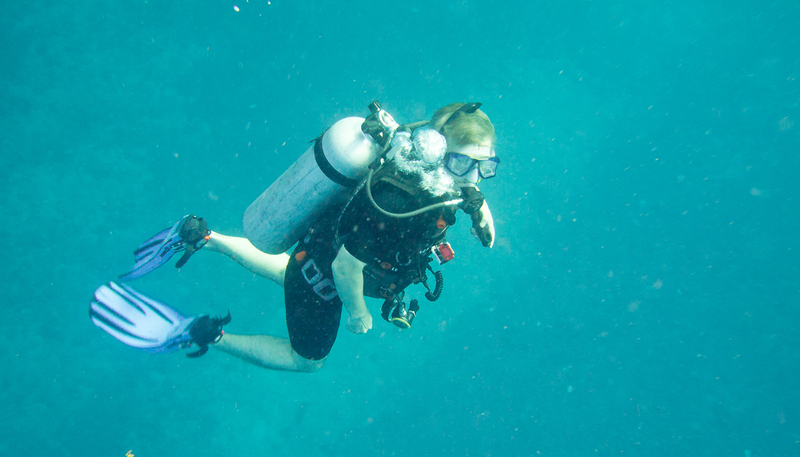 Increased comfort means better diving. Divers in jacket style BCDs are often seen head up, feet down, out of trim. 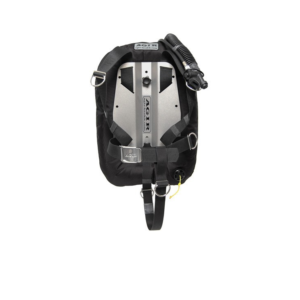 The design of the jacket style BCD, with a large air cell at the divers waist and sides, keeps the diver floating at the surface in a natural head up position. This is nice for the instructor who does not have to spend valuable time teaching students proper positioning in the water at the surface. Glancing at the experienced divers, for example, technical divers, who seemingly without effort glide through the water in perfect trim carrying heavy equipment such as twin tanks and decompression cylinders. How do they do it? It is not only training and experience. They have some help from their equipment. Nearly all of them use a backplate with a wing style BCD. The backplate has a harness, which can be adjusted to fit perfectly. The wing provide buoyancy exactly where it is needed. 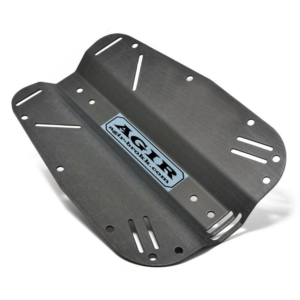 The backplate is a simple and inexpensive sheet of steel or aluminium, bent and shaped to be ergonomic. A steel backplate outlasts most diving careers. It can be severly mishandled by airport luggage staff or even be run over by a truck. It may get some scratches, but it will still work just like new. The backplate has slots cut into it for a simple harness made of webbing, a belt buckle and some D-rings. 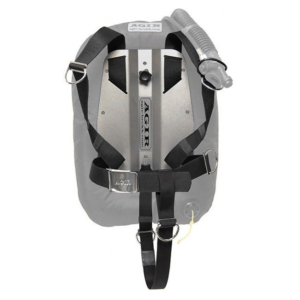 Most harnesses also have a crotch strap to help keep the tank from sliding forward if the diver is in a head down position. 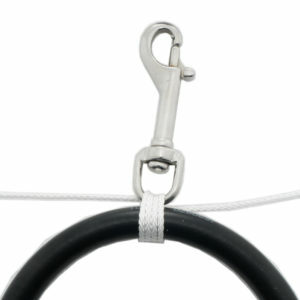 The harness can be adjusted to fit its owner perfectly and the fit will not change. It is put on and taken off just like any backpack. Arms go in under the shoulder straps and the webbing is closed around the waist with a buckle. When properly adjusted the fit is snug, not too tight, neither too loose, but just right. 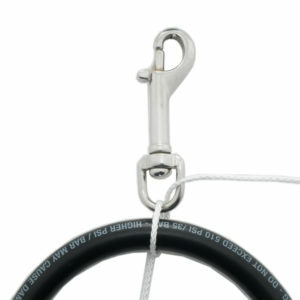 The D-rings are used to attach additional equipment. For example the gauge, or SPG, is clipped to the left waist D-ring, where it is streamlined and does not dangle and reduces risk of entanglement. 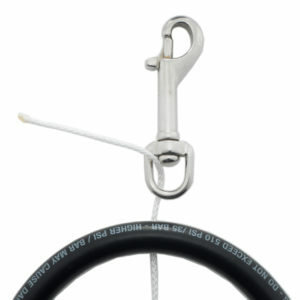 The modern wing is a donut shaped air cell made of a heavy duty fabric fitted with an inflator and a dump valve. It is sandwiched between the backplate and the tank. It’s donut shape allows gas to move to where it is needed. When partially inflated it naturally wraps around the tank, making it streamlined. The buoyant force from the wing, placed on the diver’s back, around the tank, helps the diver achieve horizontal trim. 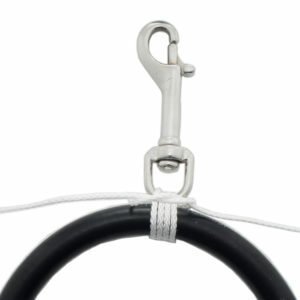 The heavy duty fabric resists wear and tear. However, should the wing be damaged it can easily be replaced. A torn and leaking jacket style BCD must be replaced with a new. The backplate and wing is modular. If one piece is damaged beyond repair, it is very easy to switch out for a new part. 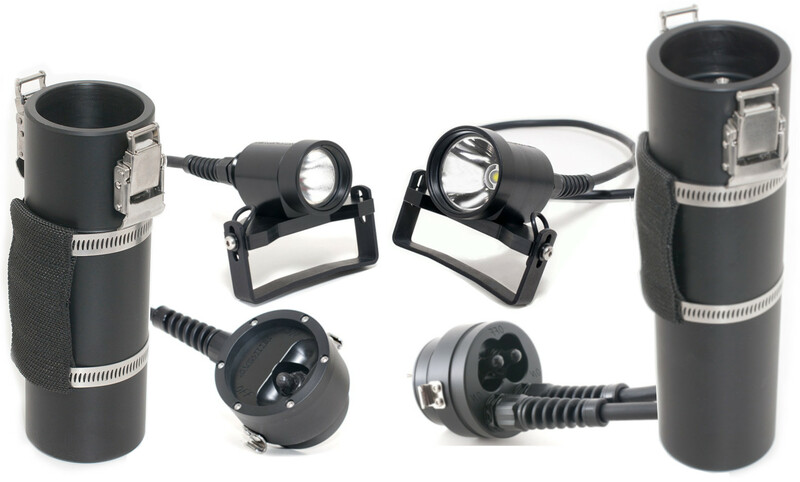 A recreational diver looking to buy his or her own gear is searching for the best buy. Looking for the best piece of equipment for the best price available. Safety is very important. So is quality. Another factor is gear that can grow with the diver, staying relevant as training accumulates and experience is gained. Diving in warm waters with a wetsuit? Snug the harness a little bit tighter. Want to switch to cold water and drysuit diving? No problem, no need to buy a larger BCD, just loosen the harness to fit the drysuit and the underwear. Want to carry a pony bottle for added safety during deep dives? Easy. Clip it to the left shoulder and hip D-rings. 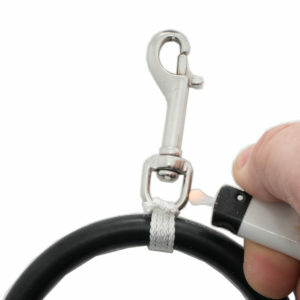 Oh, you want a twinset for longer and safer dives? Great. Switch the small single tank wing to a larger wing. Use the small wing for single tank diving in tropical waters and the bigger wing for the twinset. No need to get a new backplate and a new harness. The limits of recreational diving stops you from going where you want to go? Thinking of technical diving. Maybe even cave or mine diving? You already have the rig you need. Big twinset, stage bottles, deco cyliners — maybe switch the wing for a larger one. Keep the rest. Harness webbing starting to wear out? A worn jacket style BCD is difficult to repair safely. With a backplate, just buy 4 m of 50 mm webbing and replace it. Broken hardware? D-rings are cheap. No stitching required, just rethread the harness with new hardware. Lost a clip? Nooo problemo. They are easy to find at just about at every dive centre around the world. Nearly all divers has some experience from using a jacket style BCD. Also, almost every diver that started using a backplate and wing style BCD never return to the jacket. Trust the evidence and testimonials of thousands of divers. Go for a backplate and wing. You will never want to go back.